When it comes to the floors and walls in your home, there are countless designs you can create using beautiful tiles. Unlike carpeting where the entire floor will be one general color, you can combine a wide range of shades to create the illusion of movement, make a room feel larger, or bring intimacy to a cavernous space. Experienced tile workers can mix swirls and elegant patterns into a field of light colored tiles. The visual impression is that you have an area rug running the length of your foyer or in the center of your formal living room. Using travertine or Crema River tiles throughout the rest of the floor will create more contrast and turn your permanent area rug into a magnificent centerpiece. This is an ideal solution for areas where you need to fill in a large space but don’t want to add additional furniture or other items in the middle of the space. One of the easiest patterns to create involves the combination of large and small tiles. They can be offset with the smaller tiles at the corners to create a fun pattern that will help tie any area together. If you want the finish to have an understated feel, then go with coordinating colors. On the other hand, you can turn the pattern into more of a focal point by using sharply contrasting colors. In either case, finish off the floor with contrasting grout to ensure that the pattern stands out a little more. If you’re working with a large area that feels cold and uninviting, this is a great way to make it more welcoming and visually appealing. When developing an impressive pattern, consider mixing different shapes and various sizes. You can add and element of interest and visual appeal to any room by combining the different sizes into a working pattern. An understated look can be achieved by using one color for all of the tiles, or you can combine different shades to make the floors stand out a little more. Arizona Ivory Travertine, Saturnia Ivory Travertine Light and Adalia Cappuccino are beautiful shades that can be mixed together for an impressive look you’re sure to love. You can also mix different shades of white to give your home a new look that will add visual appeal to any area of your home. Cut tiles into narrow strips to create patterns within the floor — especially if you want geometric designs that dance across the floor and turn your space into a more impressive area. If you’re working with a modern decorating theme, then this is the perfect finishing touch for your space. Use the geometric patterns down long hallways and other areas where you want to add interest without adding furniture or accent pieces. Work with a local artist on the pattern, or talk to your installer about some of the different patterns you can create. Use contrasting colors so that the colored pattern will stand out more and become one of the focal points of your home. The first step is choosing your pattern, but the next step is purchasing all the tiles. This can represent a serious expense if you don’t know how to keep the costs down. Fortunately, Nalboor has created a system that allows you to save on your tiles so that you can get the look you love without spending a small fortune. Buy in bulk – We offer special pricing for bulk purchases. Buying all the tiles at once is an easy way to save money on the total price. We’ll package the tiles in special crates, so they can easily be stored until you’re ready for them. Limit the colors – When you limit the colors that you’re working with, you can proceed with bulk orders to keep your overall costs down. Choose a trusted company – Here at Nalboor, we offer a range of colors and styles. We take pride in delivering high-quality stones that will add beauty and style to any property. We work with nationwide shipping companies, so you can count on us for prompt delivery of your new tiles. In addition to saving money, you’ll also save time and frustration. Work with wholesalers – When it comes to retail sales, the price of products rises every time the products change hands from one supplier to the next. Here at Nalboor, we eliminate the middlemen and minimize the price increases. The result is a lower final price that will fit in almost any budget. 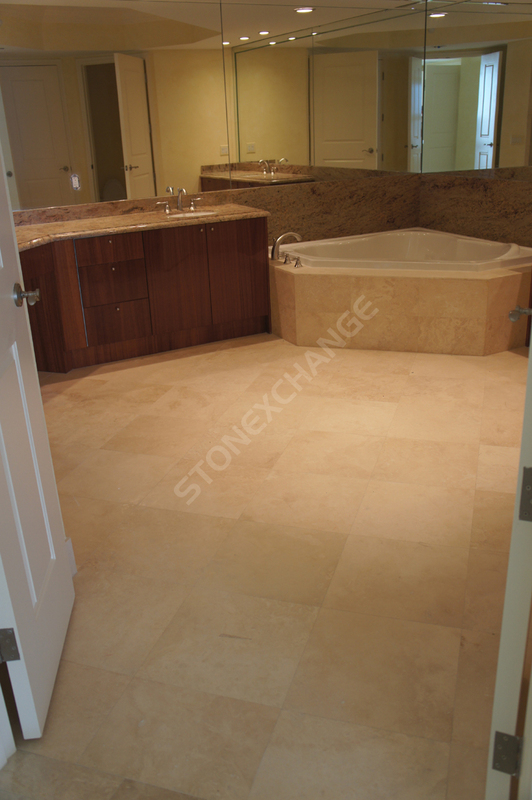 With our help, you can afford to create magnificent marble and travertine patterns that will make our home more impressive. We offer several different styles, colors, and sizes to choose from. Our customer service representatives will work closely with you to ensure that you get all the tiles you need. We pay close attention to detail to ensure that orders are filled correctly and shipped out promptly. We also maintain strict quality control standards through every stage of our manufacturing and delivery process — and take pride in offering our clients wholesale pricing. Contact Nalboor today to discuss your design plans and place an order. Our goal is to help you save money while providing you with high-quality products that will look impressive in your home. Rather than going with a single color and size, trust our team to help you create the patterns you love without breaking your budget.